Jim “txshurricane” McLaughlin and Jason “OrigamiPanther” Love had a chance yesterday to sit down with the folks from EA Montreal to not only get a hands-on preview of Army of Two: The 40th Day, but to talk with the game’s producer, Matt Turner, and get a few exclusive reveals. All of that and a few pictures from the event can be found after the break. 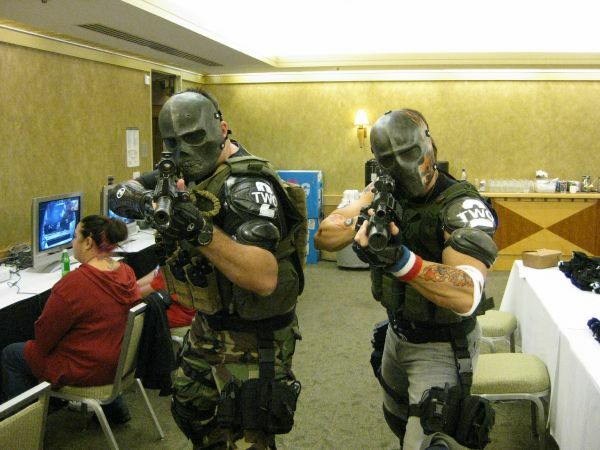 Co-Optimus: Matt, thanks for inviting us to this event and showing us Army of Two: The 40th Day. First question, why co-op? Matt Turner: Because co-op is awesome, man! (laughs) It offers a whole new level to the game where it’s not just about you beating the game and going through and killing enemies. It’s also about the relationship between you and your buddy on the couch or over Xbox Live talking and having to work together. That’s what co-op is. Co-op isn’t about the characters interacting on the screen; it’s you and I playing on the couch or Xbox Live talking about stuff, engaging in dialogue, and working as a team to figure stuff out. That’s what real co-op is. Co-Optimus: We don’t think we could have defined it better ourselves. So what’s progressed from Army of Two, the first game, and Army of Two: The 40th day? Matt: A lot. With the first game we had a lot of successes, and a few that we missed the mark with. So we took that base of really successful features from the first one and built on those to make them deeper and more robust to have the kind of polish you’d expect from a AAA shooter. With those features that we missed the mark with a little bit, we took that feedback to heart; the criticism we got from the community and reviewers we qualified, quantified, and then reacted on it and to try and fix those issues. Co-Optimus: So what’s the biggest change? 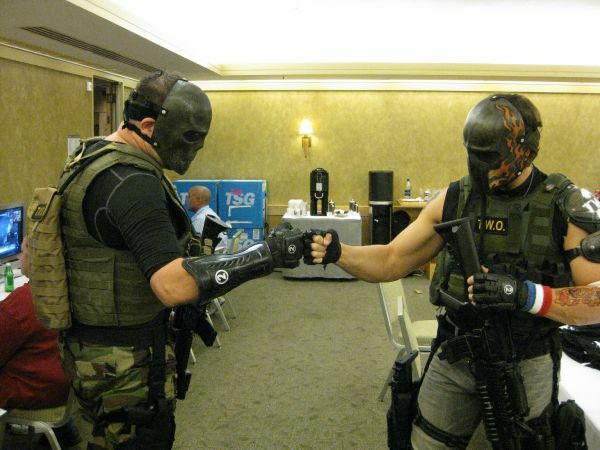 Co-op fist bump in action. Co-Optimus: We’re fond of adding “co-op” to the titles of things (see the Co-Opticast) and that sounds like a great application of it. What is the co-op playbook? Matt: It’s this suite of moves, such as taking enemies hostage and co-op sniping, that you can use whenever or wherever you want within the world to represent yourselves within the space as the bad guys who kill everybody, or the good guys that try to spare as many as possible. We wanted to put that kind of choice into the hands of the players. Co-Optimus: Sounds like fun. What else has changed? Matt: We got a lot of criticism in the first one for our environments being too static; they were really beautiful but nothing really moved or felt alive in them. 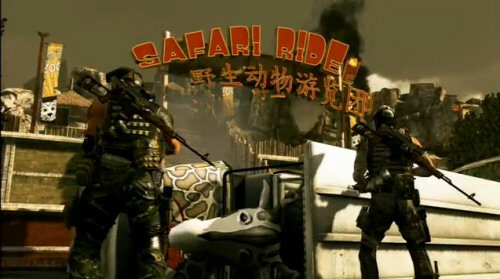 So our art team worked really, really hard on increasing the particle effects with things like the smoke you see after an explosion, or sweat dripping on [Salem’s and Rios’] arms; you know, really adds to the overall feeling of the world that [these characters] are in Shanghai, it’s hot and dirty, and it’s in the process of being destroyed. Lions, tigers, and dead elephants... oh my! Page created in 0.3254 seconds.